MusicRadar: "One of the best budget designs you can buy"
An investment in your creative career. The BX5-D3 monitors give you the comfort of knowing you're getting accurate sound, for every type of content. A specially designed waveguide and 5" Kevlar woofer combine to give you the clarity and depth your mixes deserve. 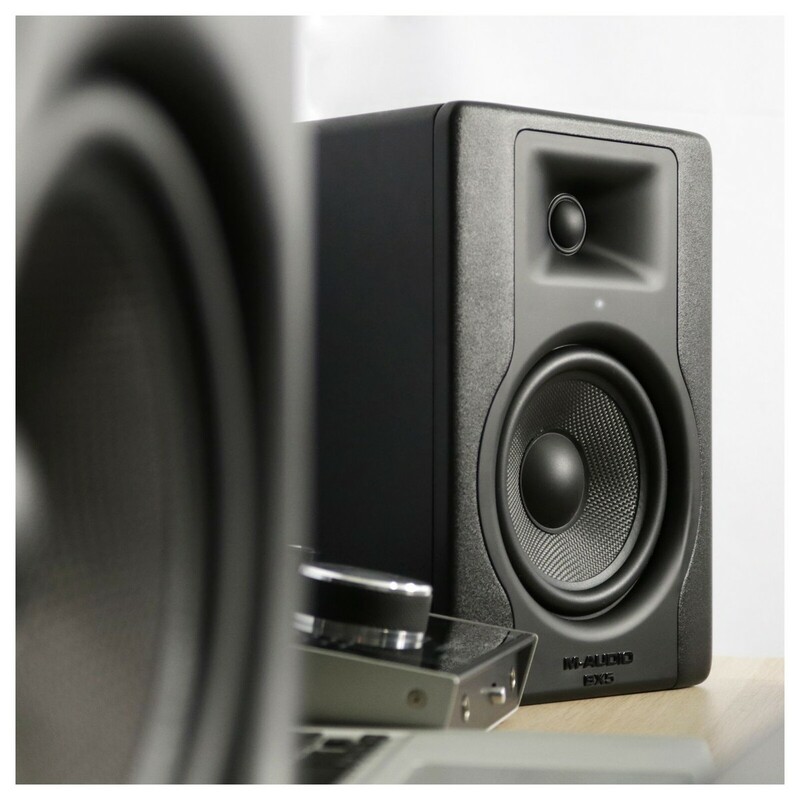 Whether you"re doing your first mixing session or about to start a sequel to an award-winning album, the BX5-D3's will give you accurate and transparent reproduction. 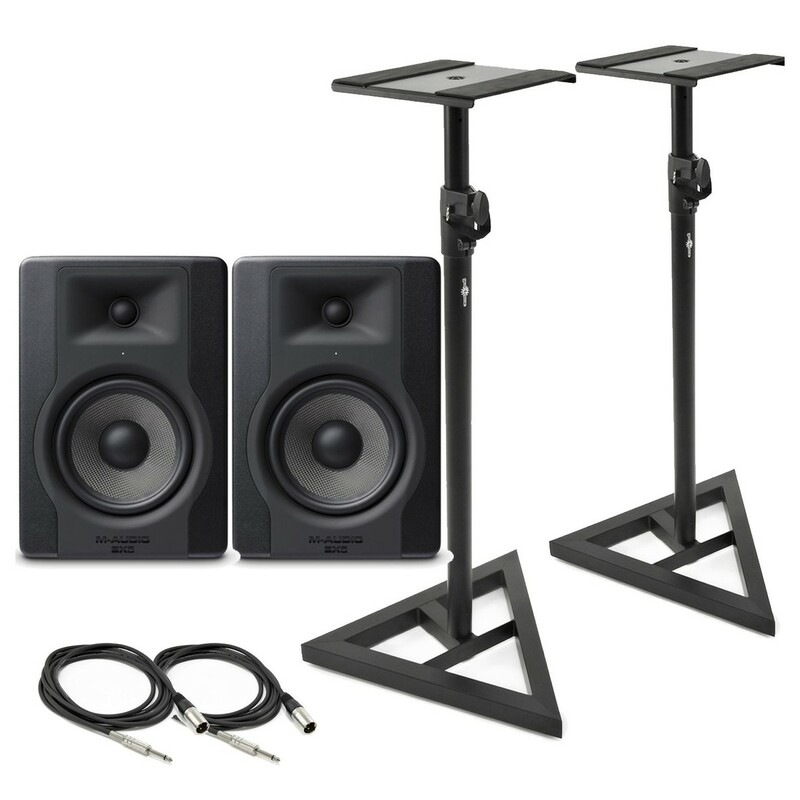 Take your speakers out the box, attach them to the stands at the perfect ear level, plug them in, and you're ready to make your next hit! Not only have the BX5-D3’s been designed with military grade materials, but also with military precision. The 5” Kevlar woofer is the ideal material to produce high quality sound, being both rigid enough to project low end frequencies and light enough to give clear transient responses. The 1” dome tweeter is also made of silk, for an incredibly fast response, meaning the high frequencies are reproduced with clear definition, allowing you to hear every part of your mix. The speaker casing has been carefully designed for its purpose. The tweeter sits within a custom waveguide, allowing for a controlled dispersion of sound, instead of just pockets of high end like other speakers. 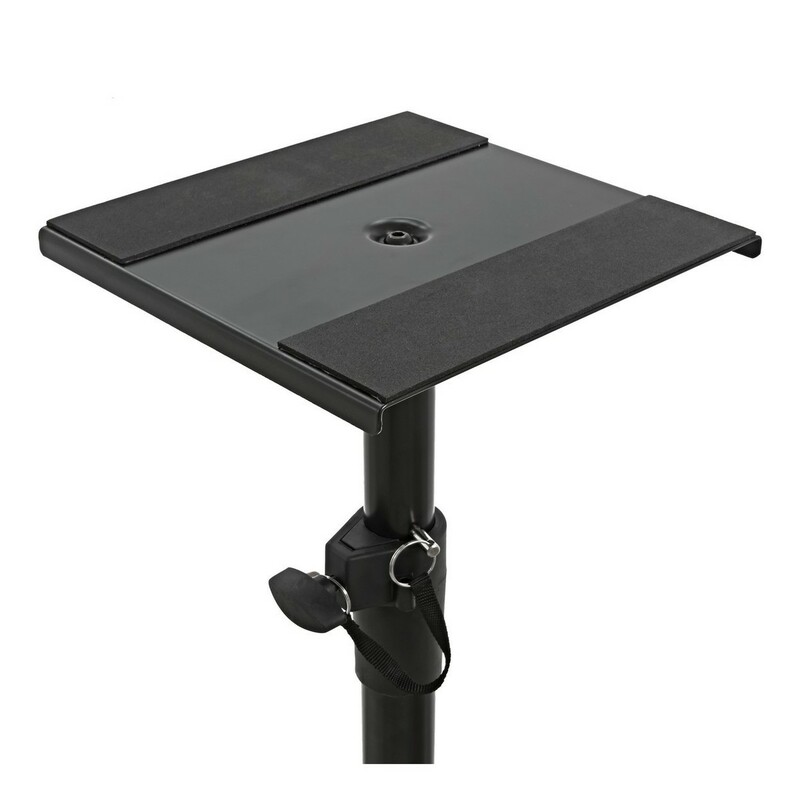 The rear-mounted bass port is also designed to give a defined bass response and extension. This means the BX5-D3 can make a truly full 3D soundscape. 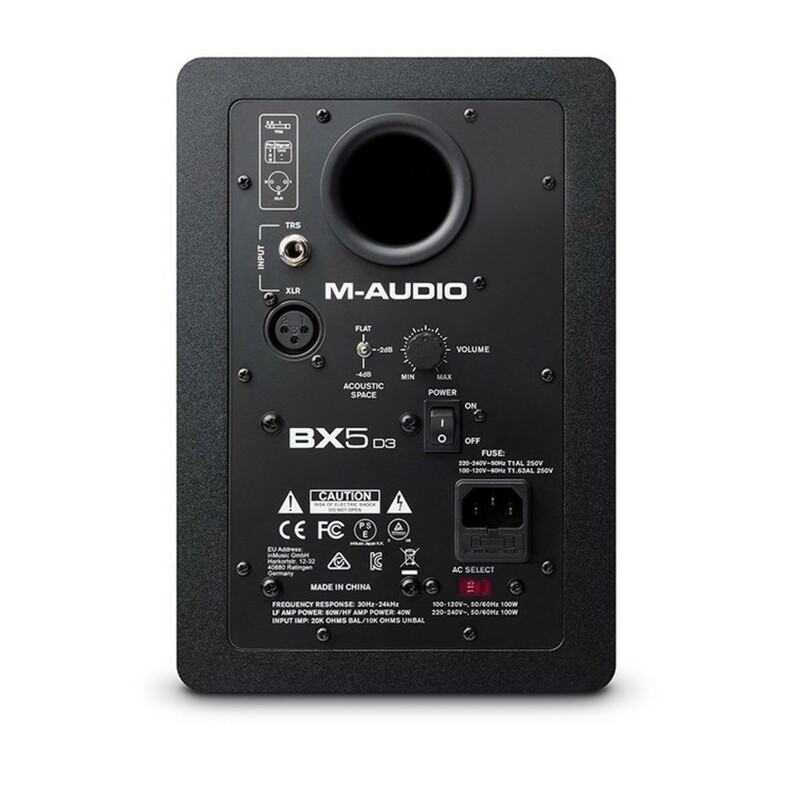 The BX5-D3’s have been developed to give tremendous sound reproduction in any environment. If used in a small room, bass frequencies can build up corners and bounce off surfaces. This gives the false impression of too much or too little bass in your mix, meaning it will not translate to other systems or environments well. The Acoustic Space Control feature offers 3 types of low frequency attenuation (56Hz, 80Hz, 100Hz), allowing you to get a clear representation of low end clarity in your mix. A blue LED on the front of the monitors is designed to find the best listening position as easy as possible, the blue LED will shine at it’s brightest when you have found the sweet spot. This allows for uncompromised accuracy and critical evaluation, to truly get the best out of your production. Both the tweeter and woofer in the BX5-D3s are independently powered by their own Class A/B internal amplifiers. Each amplifier has been tailored to the frequency range it handles, whilst still complimenting the other amplifier. With a finely-tuned crossover point, this guarantees each driver handles the frequencies it is meant to, making for powerful and cohesive sound. 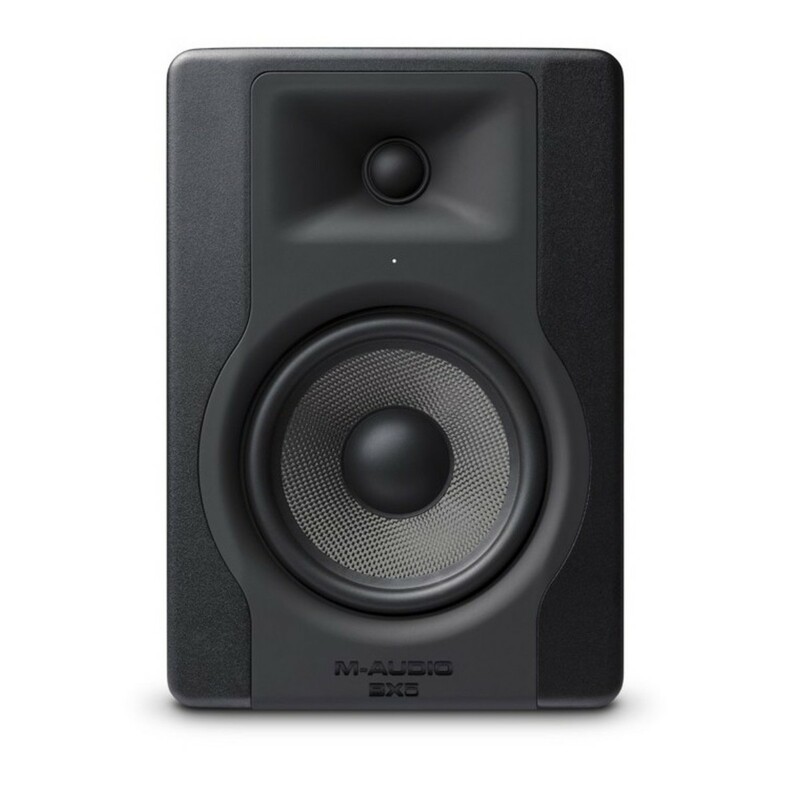 These are M-Audio’s most efficient monitors to date. Boasting a collective 100 watts of power, headroom is no problem for the D3’s. The higher headroom allows for the volume to be increased, without any distortion of the sound. 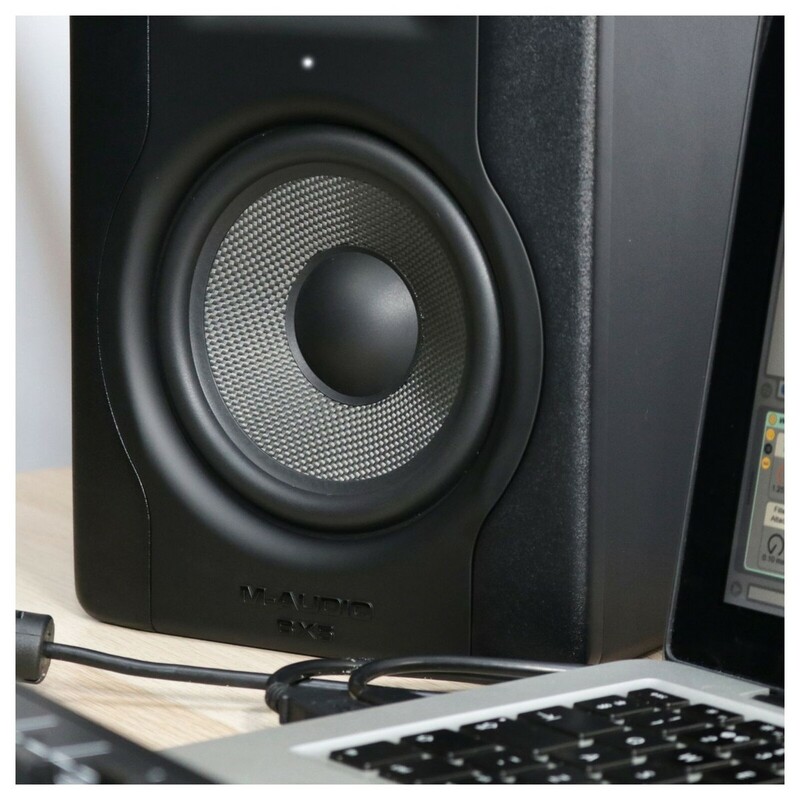 The additional power not only means you can listen to your mixes at a slightly louder level for referencing (we do not recommend listening at a high level for long time periods), but they are also great to use as general media speakers. The XLR (M) - Jack Amp/Mixer Cable is a high quality, noiseless and oxygen free 3 metre male XLR to straight jack cable that also incorporates a strain relief spring system jack plug.